Motivation Made Easy – Quick Start Guide gives you expert pointers and tricks to help you turn your motivation on to succeed. There are different kinds of motivation inside that you will learn about, each one has a purpose. Your mind is a powerful thing and with the right attitude, desire and inspiration, anything is possible. This product is also excellent for creating quality lists. If you would like to push your personal issues aside and move your business forward, this is the download for you. People who succeed in business are the ones that know how to get motivated and stay in that zone. Just think about how inspiring and successful motivational speakers are. These are the people that know how to tap into the positive and inspire people to succeed in anything they choose. After you learn how to effectively establish a positive mindset you will be set and reach any life goal you set. It’s all in the power of your brain. 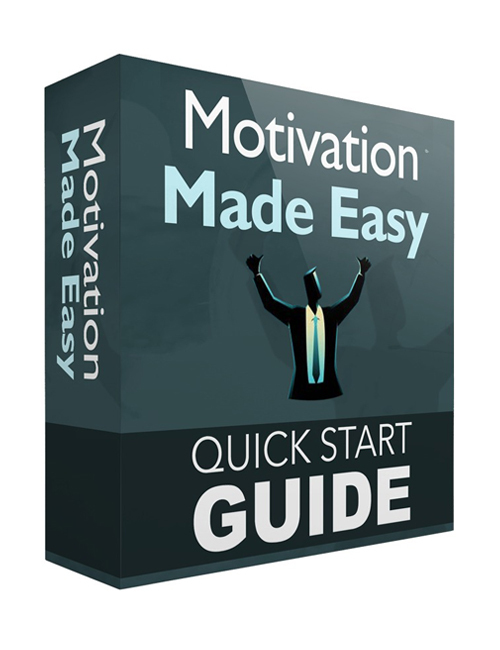 Motivation Made Easy – Quick Start Guide has your answers to help you to succeed today.